We all know that books are good for your child’s brain but they’re also a health booster. In fact, new research says reading daily can even lead to a longer life. We also know that puzzles are an excellent way to help build specific early childhood skill sets in kids, including physical skills, cognitive skills, and emotional skills. So, you can imagine our delight when someone combines books with puzzles, and the Codex Silenda is just that! This five-page book is an intriguing wonder that features thick wooden pages, each of which has an intricate puzzle attached to it. In order to read the book, readers must solve each page’s puzzle before the next page will unlock. 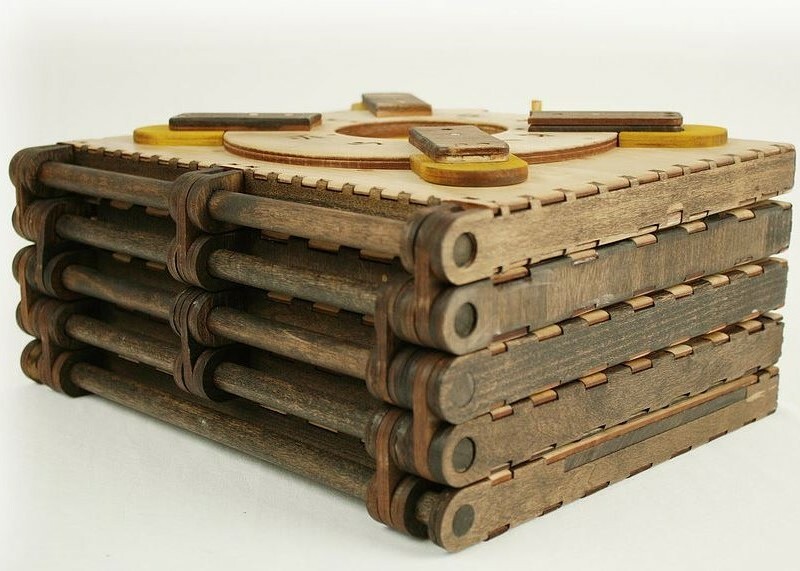 The Codex Silenda was created by Brady Whitney, an industrial designer major, for his senior thesis research project during his final semester at Iowa State University, and it’s already taken the world by storm. Whitney launched the puzzle book on Kickstarter where he has raised far more money than his original $30,000 funding goal (over $139,000)! 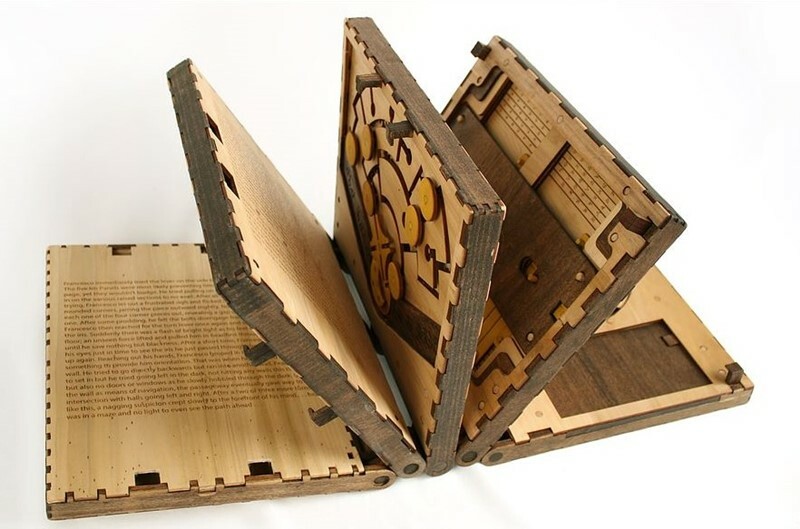 Constructed entirely with beautiful lasercut wood, this book, if you can unlock its secrets, tells the story of an apprentice in Leonardo Da Vinci’s Workshop who encounters the same Codex. According to the designers, the Codex in their story “acts as a trap set by Da Vinci to capture any would be spies/snoopy apprentices in order to protect his work. The only way to escape is to solve each of the puzzles before the master returns from his trip.” This isn’t just a theoretical idea either. You can actually own one of these amazing books, although there’s a hefty wait list to get one. But it might be worth the wait, considering this is a beautiful book, game and art piece all in one. We all know that books are good for your child's brain but they're also a health booster. In fact, new research says reading daily can even lead to a longer life. We also know that puzzles are an excellent way to help build specific early childhood skill sets in kids, including physical skills, cognitive skills, and emotional skills. So, you can imagine our delight when someone combines books with puzzles, and the�Codex Silenda is just that! This�five-page book is an intriguing wonder that features thick wooden pages, each of which has an�intricate puzzle attached to it. In order to read the book, readers must solve each page�s puzzle before the next page will�unlock.